I thought it might be fun as this Passion week as Easter approaches to have a my own little downloadable egg in your grown up basket. So here is a free lock screen for you phone or other mobile device. Happy Easter Everyone! Listen. Last year around this time I was racking my brain for a word for 2015. It was the thing to do. Instagram was a buzz with people picking words for the year. Big profound post were written, images were curated, and as usual people were ready to start 2015 fresh. It’s always exciting beginning a new year and ending an old one. There have been years I don’t want to end and years I’ve wept with joy at the opportunity to start over, to forget what was and move forward. Not to be outdone by all of this “word of the year” stuff I decided to seek the Lord out and see what He wanted me to learn in 2015. I was expecting something profound, beautiful, and original. Something that would deeply impact peoples hearts and get lots of heart eyed emojis! Instead the word that kept popping up into my head over that week was Listen. I remember thinking “Listen Lord? Really?” Instantly a few of the really beautiful posts I had read recently popped up into my head. This wasn’t like those. This was simple, straight forward, something most people already know they’re supposed to do. This wasn’t at all what I had in mind. So naturally I tried to think of something else. It wasn’t that I really minded the word it was just I was sure I could think of something better but as usual I was wrong. It’s silly really. Nobody needs a word to sum up their hopes and expectations for the year ahead. I didn’t need to compete with all of those wonderful people I followed who were deep and profound. I’m just not. I try, oh boy do I try, but great expositions on scripture and incredible fresh insights from the Word of God just don’t flow from these fingers. I’m simple. I used to think it was a bad thing to be simple. I used to think that in order to be effective I had to always have the right words (which seldom happens). I thought I needed to be relevant and fresh. That if I could only think and write like many of the authors, bloggers, and IG posters I follow then I could finally touch peoples lives and encourage their hearts. I don’t believe that anymore. I believe that I am fearfully and wonderfully made (see Psalm 139:14). I believe that God uses simple, humble, even foolish things to confound the wise (see 1 Corinthians 1:27). That He knows the depths of hearts, He understands our needs in a way no one else does, and the really foolish thing is to pretend like I know better than He does. So, long story short, I chose the word Listen. I decided to give up on my plans and go with God’s and am incredibly thankful I did. The word listen this year was a constant reminder especially when I was struggling. God brought that word to mind and then led me to His word. He helped me to remember that true wisdom is from Him and when I am stuck in a hopeless situation, when I feel deserted, the word of God is like water for my soul. I needed that reminder. This year was not easy. I am glad for the opportunity to start fresh but I am also thankful for all of the things God taught me. If it wasn’t for His encouragement to listen I would have never thought I could memorize an entire book of the bible and yet through Him I did. I memorized the book of James and am half way through the book of Philippians. I understand now the importance of carrying the word of God in our hearts. Many of the verses I memorized just “happened” to be exactly what I needed that day. This year God helped me to see past my own foolish pride and begin to think like He does. I am not special, I am broken, forgetful, and oblivious. But God is good and He fills up and heals my own brokenness. He reminds me of His truth if I am only willing to listen. Six months ago I wrote my last blog post. I informed you all that I was going to attempt to memorize the book of James and about four weeks ago I memorized my last verse, James 5:20. I’ve spent the last four weeks doing some small devotionals and going over the whole book out loud and in my head over and over just making sure I remember it all. The last six months have not been easy. Memorizing scripture is most definitely a discipline, but it’s also been incredibly rewarding. I’d like to preface all of this by saying I have a terrible memory, I am normally completely oblivious to what’s going on around me, and I am terribly unorganized and undisciplined. All of these things make really good excuses not to memorize. Frankly, I’m just not good at it. But God has shown me over the first half of this year that writing His words on the tablet of my heart has less to do with my personal strengths and weaknesses, and more to do with cultivating an appetite for scripture. I need to be hungry for the Word of God. That hunger doesn’t always come easily. Sometimes, most times for me, it comes from consistently (daily) reading the Word. The more I read, the more I want to read, the more I want to read, the more I learn to lean in to God and depend on what He says. The Bible is not just another book in our library. It’s the living word of the only God who loves us deeply. It’s His love letter to us. Each word is incredibly important and is meant to be treasured and remembered. And treasure my commandments within you. And my teaching as the apple of your eye. I’m not going to lie memorizing this book was tough for me. There have been days I got so caught up in my to do list or the drama going on at home that I completely forgot to even glance at my verses and because I had replaced my daily devotion time with just scripture memory that meant on those days I got nothing! Which for me is a big deal! It’s funny because I actually found that it took more self discipline to focus on a single verse than it did for a passage. It forced me to sit still and just think about one thing instead of continuing to read and moving from one idea to the next. Which for this ADD momma was hard! I am so used to going and going being still with the Lord with only one or maybe two verses took work! Even though my journey through the book of James was far from perfect I wouldn’t change it for the world. Learning each verse in its context helped me understand the book in a way I wouldn’t have if I simply read through it in a couple days. I now know that He is writing primarily to Jewish believers and I understand more deeply popular verses that are quoted a lot like “faith without works is dead” and “the effective prayer of a righteous man can accomplish much.” Because I know what else he was saying. Memorizing single verses of scripture kind of reminds me of a nightlight in a dark room. It’s good to have, helps us to get around, it lets us know a little about what’s in the room, but we can’t really see the room until we turn on the light. That’s what happened when I began to finish chapters in James. It was like lights were being turned on throughout the room one chapter at a time. Though understanding James better was wonderful it certainly wasn’t my favorite part of the process. The best part of spending all of my devotions memorizing was that in my darkest moments God used what I had memorized to minister to my heart. When I was angry, or hurting, or being completely selfish the verses I was studying would pop up, even when I didn’t want them to, but almost always exactly when I needed them. For the word of God is living and active and sharper than any two-edged sword, and piercing as far as the division of soul and spirit, of both joints and marrow, and able to judge the thoughts and intentions of the heart. I can honestly say I’ve never been more excited about scripture than I am when I’m memorizing. Now that doesn’t mean I’m endorsing memorizing just for memorizing’s sake. There are a lot of people that know a lot of the bible by heart but don’t let their hearts be affected by it. I want to be clear. It’s not enough just to remember what verses say. We need to understand them and believe them. Deep study of the word is vitally important and without saving faith in Jesus Christ neither memorizing or studying scripture will earn you salvation. The only way to be right with God saved from an eternity in Hell is through grace by faith alone in the death and resurrection of Jesus. These last six months have been an incredible blessing. I’ve loved memorizing James so much now I’m chomping at the bit to figure out which book or section of scripture I’ll do next! 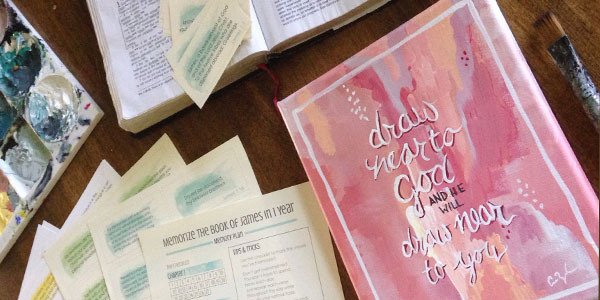 If any of you would like to memorize James and could use some helpful tools I have downloadable scripture memory kits now available in my etsy shop. Complete with printable memory cards and scripture artwork! Like that title? Yep, you read it right. This year I’m not going to do devotionals or bible study. I had planned on reading through the bible in a year but I am tired of reading through passages of scripture superficially. I no longer want to just read my devotional each day and forget what I read after I close my bible so this year I’m going to do something a little bit different. Each year in January we all make resolutions, choose words, make goals. Last year my goal was to keep a bible journal for one year. It’s one of the few resolutions I made that I actually kept and it changed the way I studied the bible. It forced me to reflect on the words I was reading. This year I’m going to do something else and I’m asking you to join me if you like. Janet: Well, if I might share this story. I want to share it in the most loving way that I possibly can. Recently, I was teaching a conference to a small group of women, a group of friends. They actually call themselves “The Bible Girls.” I’ve been speaking to them for the last three years. Nancy: Most of us could say that. Janet: But you would say, “No, it’s not discipline. I’m hungry.” And so I would say to you, it’s not that you are lacking discipline. It’s that you are not hungry. So I read through the book of James and it resonated with my heart so deeply I decided this was it. This was what I was going to do this year. I’m going to let scripture permeate my life and memorize a whole book of the bible! I’ve done chapters and verses but I have yet to do anything like this and at first It was daunting and then I broke it down. There are one hundred and eight verses in the book of James if I started today and memorized one verse a day I could have the whole book memorized by May 5th. Now, I’m not saying that’s going to happen. It might take longer (it probably will) but if I want to live out God’s word in my life what better way than to fill my heart with His words. Not the voices of great christian authors (even though I like those) but the real words of the living God. His truth. So far I’ve memorized the first 8 verses. It has been a challenge but a blessing. What has worked for me is as soon as I wake up I either look up the verse on my phone or in my bible then I write it in my bible journal. Writing things down always seems to help impress it in my mind. Then I just repeat that verse throughout the day, alone and in context with the other verses I’ve memorized. Whatever I’m doing whether it brushing my teeth, doing the dishes, driving around, it only takes a minute to repeat a couple words and if I don’t remember I just check my journal. This practice over the last week has really changed my heart. Instead of just spending 10,15, or even 30 minutes in God’s word each day I am thinking about it all day. I would love to have a group of people come alongside and memorize with me so at the bottom of this post is a downloadable .pdf with instructions and a checklist of verses. So you can keep track of your progress. There are two tracks on the sheet. The fast track is one verse a day for those of us who really want to just focus on memorizing James but if you would like to continue your normal bible study routine and memorize you can do one verse every three days. This way the memorization doesn’t interfere with your studying. I can’t wait for you to join in this journey with me! 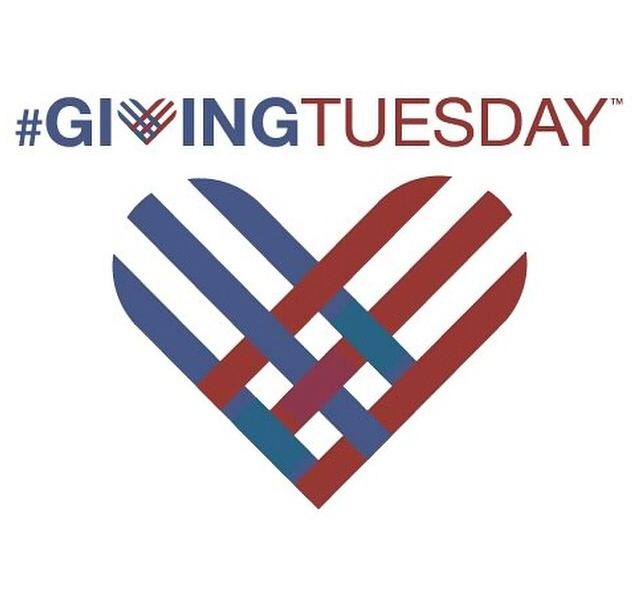 This year in an attempt to fight the tide of mass materialism that unfortunately comes with this time of year someone had the idea to name today Giving Tuesday and use it to focus on donating our hard earned money to people and organizations who need it. After all we have Black Friday, Small Business Saturday, and Cyber Monday so why not have a day designed to make us think about what we can give instead of what we can get. I personally think it’s brilliant. To help you in your search for credible organizations you can donate to I’ve made a list to make it easy! Now I realize there are a lot of us who won’t be able to make a large donation today. I’ve been there, behind on the bills, not knowing where your next check will come from, $800 overdrawn, little bitty mouths to feed, no savings, and it feels like your suffocating. But something I’ve learned in the lean moments of life is that even if I have nothing financially to give there are almost always other ways to give. Giving doesn’t necessarily have to be money. It can be so much more. As Americans we almost always give out of our abundance. Which isn’t bad. God has blessed us so much. But we shouldn’t only give when we have. Sometimes like the Widow in Luke 21 we give out of our poverty. We give when we feel like we don’t have anything to give because that’s how Jesus gave. When our schedules are full and we have no extra time but we give it anyway. When we just bought something we really wanted and we see someone who actually needs it. When we are depressed, grieving, heart broken and encourage others even when we feel broken and weary. This, sacrificial giving, this is what true giving is. So even if you can’t give money to one of the organizations on this list give something today. And of course us! 50% of each purchase goes to the ministry listed here! I was struck by the truth yesterday that abiding in love is abiding in God because God is love. So I wish I would have thought of this earlier in the month but there will be days (like today) that I simply have a verse. Something to meditate on because meditating on God’s truth is part of daily abiding. Today’s verse is from 1 Peter. So spend some time with your Savior today. 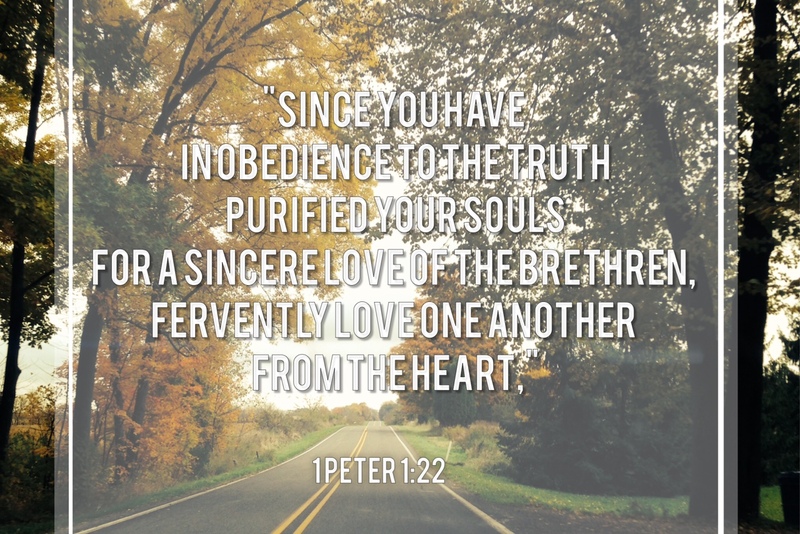 Dig deep into scripture and find out what it means to purify your soul and be obedient to the truth. Last week I wrote that this 31 day challenge was harder than I thought. I never imagined just writing once a day for 31 days could be so difficult. It has stretched me in a lot of ways and the last four days have been especially difficult. I spent a wonderful weekend out of state with my family and unfortunately got sick. I’m just beginning to get over it and with quite a few orders and homeschooling I’ve been swamped to say the least. I made the decision when starting this small business that my family would always be my first priority. This week has tested that and I’ve tried to focus on getting well and taking care of things on the home front. But that has meant the blog was pushed aside for a few days. So, here I am again attempting to finish well. For the last few weeks Ebola has been in the headlines. The news today of the latest patient, a nurse, has really hit home because where she traveled in Ohio was not to far from my family. A virus can be a terrifying thing. It isn’t something we can cure or control. It’s easy to let the fear immobilize us. So today I chose to focus on truth. The truth that we serve a Heavenly Father who cares for us. That He is in control of all things and this did not take Him by surprise. He loves my family more than I do and I can trust Him with not only my life but also my husband’s and the lives of our children. He is good in every circumstance and He has a plan. When I meditate on what is true it helps put that fear into perspective. This month my focus is on abiding in love. 1 John 4 talks about abiding, love, and fear. “Beloved, if God so loved us, we also ought to love one another. God abides in us, and His love is perfected in us. because He has given us of His Spirit. 14 We have seen and testify that the Father has sent the Son to be the Savior of the world. God abides in him, and he in God. 16 We have come to know and have believed the love which God has for us. God is love, and the one who abides in love abides in God, and God abides in him. because as He is, so also are we in this world. We have nothing to fear. We are His and He “abides” in us. The very thought of this gives me chills. The God of the universe abides in me. And I do not have to be afraid. Instead of focusing on the fear of this so called “oubreak” maybe we should focus on what this means for us as believers who abide with the Heavenly Father, because abiding in love means abiding with Him. As believers this virus should be a wake up call for us. No one lives forever and all being diagnosed with a terminal illness does is take away the illusion that we control our lives, we don’t, no one does. Eventually everyone will die and face judgement. Thankfully as believers we can have “confidence in the day of judgement.” There are many others however who don’t have that confidence. In light of this epidemic I pray that we would not cower in fear but instead stand up as witnesses of real love and hope because we were sent to “testify that the Father sent the Son to be the Savior of the world.” Through Him they can have confidence. There is no more noble or loving thing to do for someone than to show them a means to salvation. My favorite photo from this Christmas because Christmas isn't complete without these blonde curls. Happy Christmas friends!